Easter Sunday, April 21st at 11:15 a.m.
Join us for the flowering of the cross and a festival communion service featuring contemporary and traditional hymns. Please bring a flower clipping for the flowering of the cross on Easter Sunday. 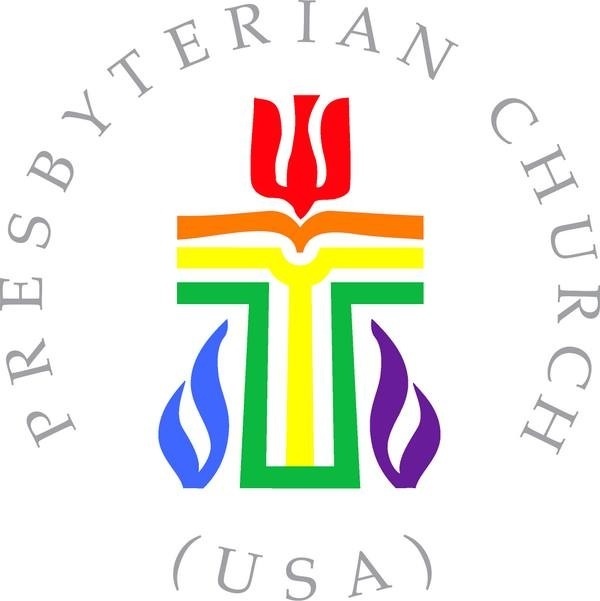 ANNUAL MEETING – The Annual Meeting of the Congregation and the Corporation of the Second Presbyterian Church will be held Sunday, April 28th at 12:15 p.m. in the Sanctuary to elect the Elder Class of 2021 & Class of 2022, the Deacon Class of 2020 & Class of 2022, and the Nominating Team members 2021-2022; and to receive the Annual Report, the 2019 Budget, and the 2018 Statistical Report. The faith community's mission is to plan and implement an ongoing community-wide effort wherein people of various races, cultures and faith traditions regularly pray together for the success of the Illumination Project, and deepen their own understanding across groups so they are more able to collaborate in community-wide good works. The Illuminate Charleston discussion at the Central Mosque of Charleston event will explore how and/or why major faith groups are dealing with discrimination, internally/externally. Several forms of discrimination may be up for examination: race, gender, gender identity, color, creed, nationality, class, etc. Keynote Speaker: Dr. Jaye Goosby-Smith, Associate Professor of Management and Director of Graduate Programs in Leadership at The Citadel. 5:00 PM – 7:45 p.m.
Production Manager of our events for nearly fifteen years. There is no admission fee for this event. Join us on Mother’s Day, May 12 for lunch in the park. Sign up online to provide sides and desserts to accompany the fried chicken lunch. Join us May 24, 25 & 26 for lunch, cake & tea. We would love to see you there enjoying our delicious fare. Spread the word to family and friends to come join us for FUN, FOOD & FELLOWSHIP! The Second Please Tea Room has been put on by volunteers at Second Presbyterian Church in downtown Charleston in conjunction with the Spoleto Festival since 2006. The event has grown each year and proceeds go to benefit our missions program. We partner with the PDA to help serve in times of great need. You can respond to the devastation of both local disasters, like the California fires and recent hurricanes, and those abroad, like the tsunami in Indonesia and earthquake in Haiti, with your prayers and by donating directly through Presbyterian Disaster Assistance. Give, Act, Pray. Second Presbyterian Church is co-sponsoring and hosting a screening and discussion of the new film, Backs Against the Wall: The Howard Thurman Story on Thursday, May 9th at 6:30 p.m. The film explores the extraordinary life and legacy of one of the most important religious figures of the 20th century. Born the grandson of slaves, Thurman became a “spiritual foundation” for the Civil Rights Movement, inspiring many of its leaders including Martin Luther King, Jr, Jesse Jackson and Congressman John Lewis. Join our Financial Peace University group and we’ll learn how to beat debt and make a plan for the future . . . together! Interested? Chris Mai is leading this group navigating Dave Ramsey's Financial Peace University on Wednesday nights at 6:00 p.m. starting May 1st. This program is based on biblical principles of handling money, avoiding debt, and being good stewards of what God has given us to manage. Please email Chris to join and ask questions or sign up at www.financialpeace.com! Tuesday, April 23 at 6:30 p.m. This month we are reading We are the Lucky Ones by Georgia Harper. It is a novel and again returns us to WWII and its consequences. It is inspired by the ordeals of a family affected by the War in its European zone, as family members try to escape, endure and survive following the invasions of 1939. We will meet on the *fourth* Tuesday, April 23 at 6:30 p.m. at the home of Carol White, 1645 Christalino Circle, Charleston 29414. All elementary age children are invited to join the Children’s Choir! Children now meet for practice before the service on Sunday mornings at 11:00 a.m. in the chapel. Clarissa Rider, our soprano section leader, leads the children’s choir in preparation for a performance in the Mother’s Day service on Sunday, May 12th. Contact Clarissa at clarissa.rider@gmail.com for more details. Young adults and families are invited to come for brunch and fellowship the 1st Sunday of each month. The group will meet at the front door of the Education Building after the 11:15 service and walk/drive to our restaurant of choice. For more information contact Lee Lingle. Join us on the second Sunday of every month for a time of food, fun and intergenerational fellowship following the worship service. Help us stock the church freezer with meals that we can take, as needed, to church members who have lost a loved one, had a baby, been sick, had surgery, etc. Contact the deacons for more information. The Tywanza Sanders Legacy Foundation was created to honor Tywanza, son of Felicia Sanders, who was one of the victims of the massacre at Emanuel AME Church next door. The foundation is on a mission to give youth opportunities to pursue their education and entrepreneurial dreams. Find more information and ways to donate through their website.